How Do You Subtract Integers Using a Number Line? Subtracting integers? You could use a number line to help find the answer! 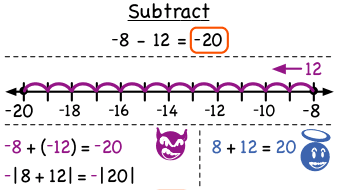 In this tutorial, see how to use a number line to subtract integers with the same sign and ones with opposite signs. Take a look!